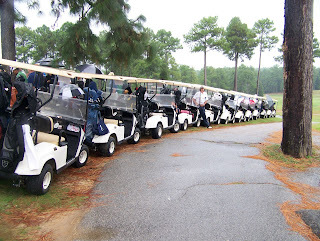 We had our annual golf tournament to benefit the spina bifida association of Alabama on Saturday. It was a rainy mess but everyone showed up and gave to this wonderful cause. Through sponsorship and golfers, we were able to raise $7000 for the association. This money will go into a fund to help families like ours attend the spina bifida association's national conference each year. Thank you to everyone who helped us with this event. We could not have done it without you. For those of you that don't know, we have moved and now live in Gardendale. 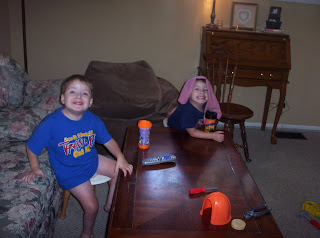 We are still busy trying to make it ours and getting settled in. Please come by and see us if you are in the area. Here is our new information. 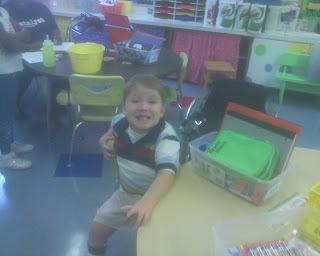 The second pic is from our "Meet the Teacher" orientation tonight at his new school. This is Heath at his spot in his classroom. Yes, with this move he gets to go to Gardendale Elementary. More posts and more pics to come soon.